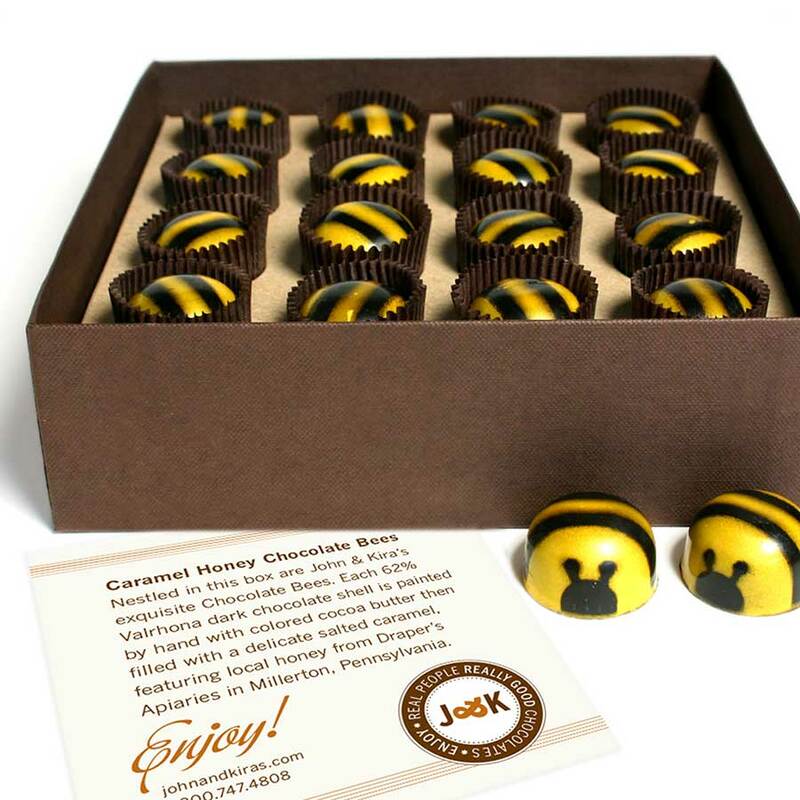 Each Chocolate Honey Caramel Bee seems to be adored by just about everyone that happens to be lucky enough to receive one as a gift (just check out the reviews below). I ran across these little gems in a small gift shop. 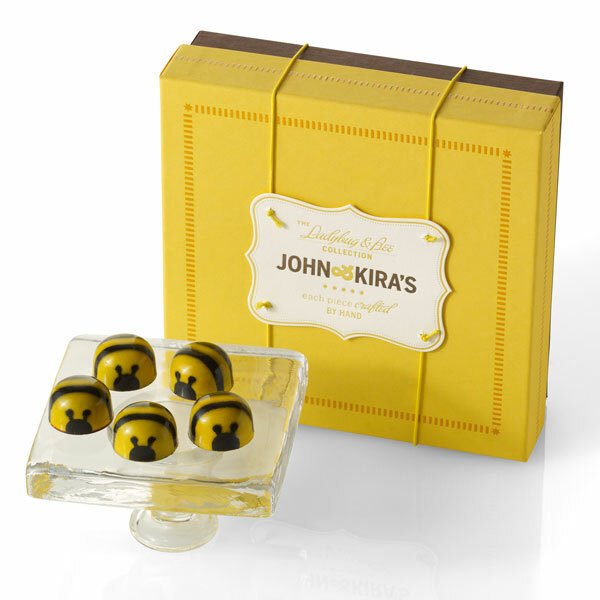 I was so enamored with them that I looked them up online and I've been ordering them since. They are the perfect blend of caramel, honey, and chocolate. Trust me, you'll want to hide the box and keep them all to yourself! I normally like to pick up some of these bees when J&K is out at the farmer's market. These, in particular, are some of the most tasty chocolates I've had. A lot of chocolates with fillings don't have that creamy filling you're looking for, but these definitely do. 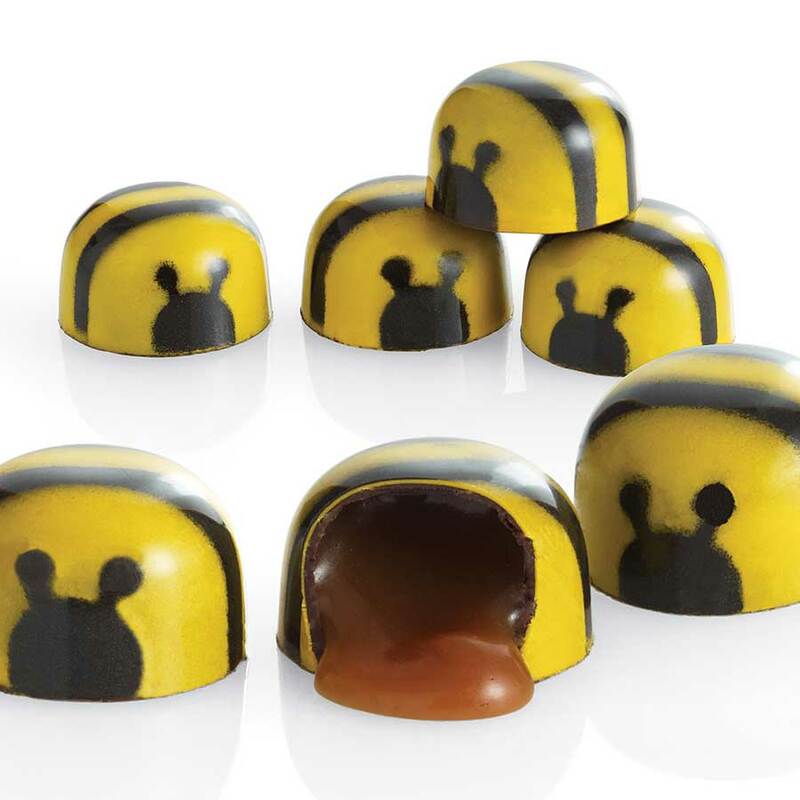 When you bite in, the honey caramel filling oozes out and mixes with the chocolate, and it is probably one of the best chocolates I've had. Hands down. I received my first set of bees a couple years ago for Christmas from my husband. I am a caramel lover and can taste the quality in each delicious bite. 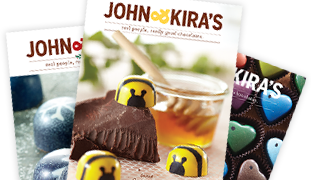 These truly are a special treat--I have since given other John & Kira chocolates as gifts to loved ones. A gift of love all around. I love the liquid texture and honey flavor of the caramel and the snap of the chocolate. Plus, they're incredibly cute! I have given these as gifts to friends,coworkers and family for the past four years. Everyone has loved these Carmel bees. But be forewarned, once you give them as gifts EVERYONE will want you to buy them as a gift EVERY YEAR AND FOR EVERY OCCASION. They are just too GOOD! 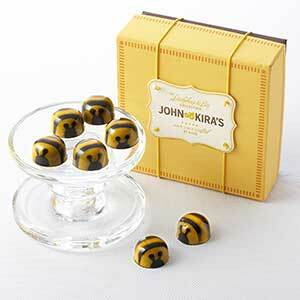 I send a big box of the bees every Christmas to good friends. They ration them out over the next several months to keep the excitement going. (I'm quoting). I also get a box for myself. They, however, last a few days. The bees are the best thing ever! This was the very first item I ever ordered from John & Kira's, and I love them so much I want to always have some available so I tend not to try any of their other items. The little bee notes in the box are fun and very interesting too. I love caramel and now I'm hooked on honey caramel. 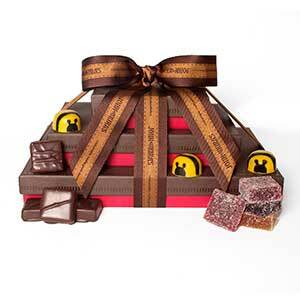 These chocolates are so good I had to fight my daughter to keep her from eating them! These are so good that I would give them as a gift....if I could bear to part with them. Got a 16pc box of these as a gift, and tried my first one tonight. It was as delicious as it was adorable. Incredibly unique and supremely decadent. I love the intense honey flavor. Googled them immediately to find out more about the company/team behind such a fantastic chocolate. Sure glad I did because although the price makes sense given how amazing they are, I now know they are a delicacy to be savored, not absentmindedly popped in my mouth! Will now be my go-to for special occasions. My associate shared a bee with me...actually she had to force me to try it because I'm not a huge fan of sweets. WOW! They're beautifully made, cute, interesting packaging. They're little bites of perfection. Now I want to try the figs! OMG !! Out of this world! The adorable honey caramel filed bees are little, yummy works of art...almost too precious to eat! Pricey? Yes. but you can taste the refined quality. 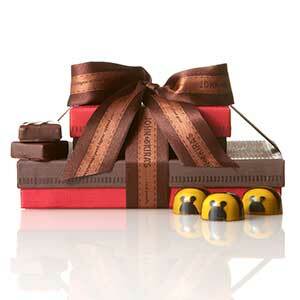 This is chocolate to be savored, not scarfed! I'm addicted. Kudos.